Luxury Real Estate Marketing: Become an "Investigative Reporter"
Have you heard the term “investigative reporting”? That is one of the great roles of a journalist and should be one of the roles you assume as a luxury real estate marketing professional when you decide to blog. There are so many fascinating local stories to cover if you just look for them. Find one that you can be passionate about and tell the story from your own unique voice. Your personal slant on the facts is what makes your “column” worth following. One of the stories that we find most interesting, from a strategic branding standpoint, is the new competition between Google and Apple especially in the realm of smart phones and other mobile devices such as tablet computers (iPads). What is at stake? There are billions of dollars in advertising revenue at stake on mobile devices, plus applications, media subscriptions, e-books, video and more. The drama that is now unfolding, on the world stage, between these big brands sheds light on the dynamics between rival agents seeking market leadership in any luxury real estate marketplace. Apple has just surpassed Microsoft in valuation; a feat that Steve Jobs describes as “surreal”. Can you remember when Microsoft surpassed General Motors in valuation? Mr. Jobs is a charismatic leader with tremendous vision. He is bold in his move to dismiss Adobe Flash as a technology whose days are numbered. Apple iPhone, iPod Touch and iPad only support HTML-5 a new video technology that Jobs considers to be superior to Flash. He is not afraid of controversy, Many of his critics, including Google, say that he has made a serious error in judgment, that he is not “open and inclusive” regarding these two major video platforms (Google supports both Flash and HTML-5). They say the consumers will be the ultimate judge. Mr. Jobs agrees with his critics on this point. 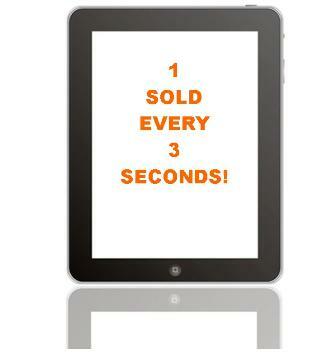 One iPad is now selling every three seconds! In our next segment on Apple vs. Google we will cover the impact that this device is having in Japan where the iPad is emerging as a luxury brand on par with Louis Vuitton. Find a story that you can sink your teeth into and extract meaning, your interpretation of the facts, for your readers. That is the role of “investigative reporting”. Locally, this practice allows you to meet many people who are likely to become loyal referral sources.